Transurban’s vision ‘To strengthen communities through transport’ recognises the major role we play in local communities in our regions. We believe that our road assets benefit communities by creating efficient transport networks that provide motorists with time-savings, safe and reliable travel. We seek to anticipate, listen and respond to community needs about our road assets and operations, but also to directly invest in communities through partnerships, sponsorships, grants and donations. Transurban has launched an In the Community site to feature some of our community-based projects throughout the year. In a major community partnership, Transurban has provided $50,000 to the Asylum Seeker Resource Centre in Melbourne to establish a driver training school for its clients. The ASRC provides a range of programs that strive to protect, support and empower Australia’s asylum seeker community. Transurban’s support has allowed the purchase of a car and covered on-road costs. The ASRC recruited a number of volunteer driving instructors and, as at the end of June 2015, 70 ASRC clients had signed up for free lessons. The increased mobility and employment opportunities that come with having a driver’s licence will benefit participants’ families and communities. ASRC’s CEO Kon Karapanagiotidis visited our Melbourne office and gave a presentation on the power of helping vulnerable communities to improve their lives by giving them freedom and opportunities. In another driver education partnership, Transurban Queensland sponsored the Police Citizens Youth Club’s (PCYC) Braking the Cycle program, to help disadvantaged youth in the Logan area obtain their driver’s licence. As part of its sponsorship, Transurban Queensland purchased a new vehicle for the Logan PCYC and is funding three learner drivers to participate in the program. The program helps participants build up the 100 driving-hours required to obtain their driver’s licence. The Queensland team will also work with PCYC in their mentor volunteering program. A number of Transurban Queensland employees have signed up to volunteer their time as driving mentors. Braking the Cycle has helped more than 250 young people obtain their licence over the past two years, and more than 15,000 driving hours have been logged with the program. In 2014, the program collected its fourth Australian Road Safety Award since its inception in 2012. Transurban again sponsored a family fun day for Melbourne’s Villa Maria organisation, which provides services and opportunities for people with a disability, their families and carers. The event, at Albert Park Lake and Melbourne Sports and Aquatic Centre (MSAC), showcased the shared vision of both Transurban and Villa Maria to enhance social inclusion through improved mobility and accessibility. More than 1,000 people attended, including a number of celebrity guests. Transurban contributed $40,000 to sponsor the event, which includes activities at MSAC and also the two kilometre All Abilities Walk around Albert Park Lake. Transurban’s community grants program was a major initiative in FY15. This program began in the US in 2008, and was launched across our Australian regions this year. The ongoing program provides grants to eligible not-for-profit groups that are creating social and environmental benefits in the suburbs near our roads. In FY15, Transurban contributed approximately $200,000 to local charities and community organisations via this grants program across Australia and the US. The grants program allows us to connect with local community groups near our roads, and understand the issues that are important to them. It is a great way for community groups to approach us for support. Over the year we received several hundred grant applications from groups as diverse as health services, food relief programs, homeless support services, schools, community centres, land care groups and arts societies. A number of the grant recipients visited Transurban offices to meet with employees, speak about their organisations and the way in which the grants will help them help others. In addition to our long-term partnerships, grants and events, Transurban supports a range of charities throughout the year. Many of our charity and volunteering drives are driven by the passions and skills of our own employees, enabled by Transurban’s support of paid volunteering days. Our Queensland office has had close involvement with the Ronald McDonald House charity, including donations of around $38,000 from the annual charity golf day held in July 2014, and a volunteering day where the Queensland Public Affairs team baked for families staying at Ronald McDonald House in Herston. Ronald McDonald House SEQ Herston provides accommodation for the families of seriously ill children who live more than 50km from the treating hospital in Brisbane. In Sydney, our Lane Cove Tunnel office donated used CCTV screens to local community centres in North Ryde and Kariong. At Christmas we supported The Smith Family’s Toy and Book Appeal. For the tenth consecutive year, the Queensland business supported Brisbane radio station B105 in its Christmas Appeal, which supports the Children’s Health Foundation. We donated $5,000, bringing the Queensland business’ total contribution to over $100,000 over 10 years of contributions. Our toll roads are also a source of charitable giving. On our US Express Lanes, we introduced ‘Drive to Donate’ - a program that allows customers to help us give back to the community. On Saturday, 21 March, we donated the value of all tolls collected on the 495 and 95 Express Lanes to local fire and rescue organisations from Fairfax, Prince William and Stafford counties. This came to a total of almost USD80,000 and helped us to strengthen our partnership with the communities in which we operate. Transurban’s newest asset, Legacy Way, also has a permanent arrangement in place where we will donate one cent from every toll to Legacy Australia, with a guaranteed donation of at least $100,000 annually for 15 years. Gaining employment greatly assists a person’s ability to fully participate in their community. Transurban runs and supports a number of employment and mentoring programs seeking to overcome the barriers to employment that some may face in the community. Woolloomooloo, in the heart of Sydney, is home to two assets, the Eastern Distributor and the Cross City Tunnel. With unemployment and homelessness being key issues in this community, we have implemented a pilot program to link disadvantaged people with meaningful employment opportunities. Our Roads to Work program aims to create sustainable pathways to employment for those at risk of homelessness. In its initial stage, we secured three positions in the Woolloomooloo area: a receptionist, tradesperson and traffic controller, which we could fill with candidates identified through the program. We later extended the targeted area for the program to the entire motorway corridor and four more candidates have now been placed in full-time employment. All of the identified candidates were employed at some stage in their lives, but each had faced extreme personal situations which had led to a lengthy period of unemployment. The Roads to Work is giving them new opportunities. Roads to Work is still in the pilot stage, however we believe there is an opportunity to introduce the initiative in areas alongside all of our NSW assets. Working with the support of contractors, community groups and employees we hope to make this program a long-term success. 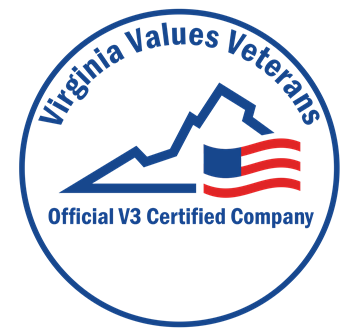 Transurban has become an official Virginia Values Veterans (V3) certified company. The V3 program educates and trains companies on the value of recruiting, hiring, training and retaining veterans. Virginia has the youngest veteran population and the fastest-growing veteran labour force in the United States. Thousands of new veterans enter Virginia’s workforce each year, and that number is projected to rise in the coming years. Through the V3 program, we have made a commitment to increase career opportunities at Transurban for Virginia's veterans. Transurban’s Human Resources team began the application process for the company to become V3 certified in early 2014, and over the past year we have participated in training requirements and developed an Organisational Veteran Hiring Plan. We were officially certified in January 2015. Hills M2, our motorway in Sydney’s north-western suburbs, has partnered with not-for-profit organisation House With No Steps providing employment opportunities for people with a disability. House With No Steps is an organisation providing support and services for all people with a disability to achieve their goals and fulfil their potential. Hills M2 employed two people from House With No Steps to conduct landscaping maintenance along the Motorway corridor under the supervision of contractor Transfield Services. The initiative gives people with a disability the opportunity to learn new skills and gain valuable work experience. In FY15, Transurban launched an official employee volunteering program. Transurban employees have the opportunity to take a day of paid volunteering leave each year to contribute to a cause of their choice. We maintain working relationships with a number of charities, and also allow employees to choose the organisations they want to support. A number of group volunteering events were held throughout the year. We aim to build on these and encourage all employees to make use of their volunteering day. Several employees from NSW were among the 160 volunteers who set out in the early hours of the morning to participate in the City of Sydney homeless Street Count, designed to calculate the total numbers of rough sleepers in Sydney CBD. The results are then used to raise awareness about the issue of rough sleeping in the inner-city, help campaign for ongoing service and policy responses to homelessness and to track changes in numbers. A key part of the city’s homelessness strategy, the street counts also help to monitor the progress of the city and its partners in reducing the numbers of people experiencing homelessness. Volunteers were each allocated an area to patrol, with Transurban assigned to a section of Woolloomooloo, next to the Eastern Distributor and Cross City Tunnel offices. Having found 44 rough sleepers in their designated region alone, the count reinforced the program’s importance. In April Transurban employees in Virginia joined the Fairfax County Park Authority in donating their time to help remove non-native and invasive plants from Nottoway Park in Vienna, a short distance from the 495 Express Lanes. The Invasive Management Area program aims to help protect the plants and wildlife of Fairfax County's forests while giving the community time to spend outdoors restoring natural habitats. Removing non-native plants is critical to the wellbeing of local ecosystems. A number of New South Wales employees from Hills M2 and Lane Cove Tunnel donated their time to the North Ryde Community Aid Centre Employees, lending a hand to spring clean the office for the year ahead. Volunteers took part in cleaning, clearing, washing, filing and gardening. In May, members of the human resources team in Melbourne took advantage of the employee volunteering program to help out at TLC for Kids. The charity delivers Australia’s fastest tailored support to children and their families in hospitals. Every year, an average of 1.8 million children under the age of 15 are treated in major hospitals throughout Australia. Through its programs (and with only five employees), TLC for Kids helps more than 692,000 sick children every year. This means that every 77 seconds, TLC for Kids provide much-needed emotional or practical support to a sick child. Supporting the HR area, the volunteers produced some key documentation including position descriptions, letters seeking fundraising as well as helping to organise some upcoming events. In May, members of the Group Finance team took time out to help Friends of Westgate Park re-introduce local plant species to the park. Westgate Park covers 64 hectares along the West Gate Freeway and the Yarra River and is only a short distance from CityLink. Each year the not-for-profit Friends of Westgate Park plants 25,000 indigenous plants and move many tonnes of mulch to restore this large parkland back to its natural state. The Group Finance team helped move several truckloads of mulch into the garden areas where it will keep warmth and moisture in the soil and promote the growth of new plants. They also planted several hundred plants that will provide cover for the many birds and animals in Westgate Park. As a major infrastructure company, Transurban has a significant physical presence in the cities where we operate. We aim to enhance the liveability and community aspects of those cities by supporting public events, particularly if our assets can directly contribute to those events. For our major fun run events of Run for the Kids in Melbourne and Run for the Hills in Sydney, we close our roads to allow runners to experience their cities from a new perspective. 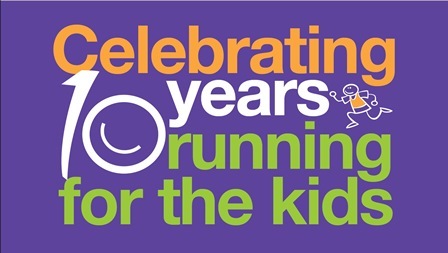 Run for the Kids celebrated its 10-year anniversary this year. CityLink has been a proud partner of this event since the inaugural 2006race. The event has grown into one of Melbourne’s most iconic events over the past 10 years, attracting over 28,000 participants in 2015. The main course takes participants through one of the CityLink tunnels and over the Bolte Bridge as they run through the city. The event is the major fundraiser for the Royal Children’s Hospital Good Friday Appeal. This year the event raised $1.8 million for the appeal, which will go towards medical equipment, research and scholarships for the hospital. Transurban employees, together with friends and family, raised a sum of $10,000. This year also saw a record Transurban team participating in the fun run, with 425 employees either completing the course or acting as volunteers for the day. Hills M2 was once again the major sponsor of Run for the Hills, an annual charity fun run in Castle Hill, Sydney, organised by Reach for the Rainbow. Reach for the Rainbow raises much-needed funds to assist with early intervention for babies and pre-schoolers with development delays and disabilities. The event in November attracted hundreds of participants and raised nearly $20,000 for Lifestart, which provides life-changing early intervention services for babies and pre-schoolers with a disability. As well as sponsorship, a number of our employees volunteered to help the event run smoothly, and participated in the event. The City2Surf is one of the world's highest-attended fun runs. Held in August of each year, the event attracts around 80,000 participants. The course begins in the city and ends at Sydney’s Bondi Beach, including passing though Transurban’s Cross City Tunnel at the beginning of the 14km course. The City2Surf raises funds for hundreds of charities selected by race participants. 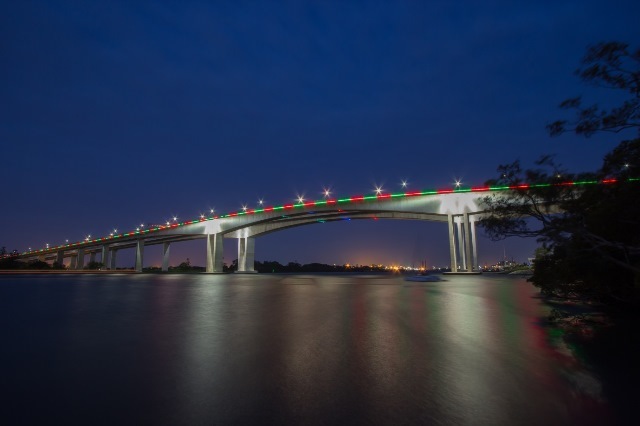 For the 17th consecutive year, Gateway Motorway again supported Queensland’s largest community fun run – The Bridge to Brisbane. More than 35,000 participants embraced the opportunity to make their way across our iconic Sir Leo Hielscher Bridges on foot. The southbound bridge came alive with people making their way to the top of the bridge, enjoying a fabulous view of Brisbane as they approached the first kilometre mark. Our corporate team of 30 go via network employees took up the challenge and competed across both the 10km and 5km courses. We proudly supported the Opera in the Gardens event in the surroundings of the Mount Coot-tha Botanical Gardens. Hosted by the Rotary Clubs of the West Brisbane Cluster (Toowong, Kenmore, Karana Downs, Planetarium and Brookfield), in conjunction with Drug ARM Australasia, the proceeds raised were used to support Drug ARM’s outreach programs, local Rotary community projects and local charities. In July we supported The Wesley Hospital Kim Walters Choices Program during its annual Think Pink Week. On Friday 25 July, 2014 the Clem7 was renamed the Kim7 and $1 from every toll during 24 hours was donated to the Kim Walters Choices Program. The event raised more than $33,000 in much needed funds for the Program. For the second consecutive year, we proudly supported the City2South fun run, by providing safe access for participants along the Go Between Bridge. In only its second year, the event attracted over 10,000 participants raising much needed funds for over 550 charities nationwide. Several of our assets are iconic pieces of infrastructure on their cities’ skylines. Throughout the year we take advantage of their prominence to raise awareness for a variety of causes and significant dates. 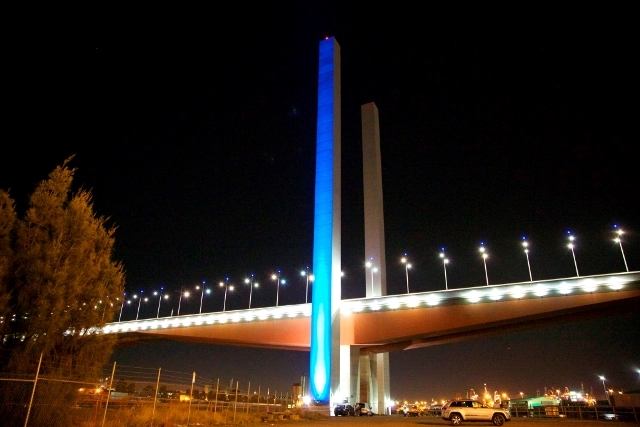 Lighting has recently been upgraded on the Sir Leo Hielscher Bridges in Brisbane and Bolte Bridge in Melbourne. This has served a dual purpose with LED lighting significantly reducing our energy consumption on these assets, and also allowing for a variety of colours to be projected to highlight individual events and causes. Lighting up our assets is one small way we contribute to raising awareness for these causes, in addition to other Transurban community and charitable initiatives.